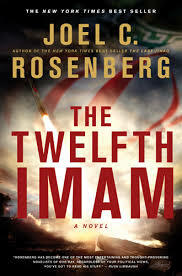 In 2010, author Joel Rosenberg wrote a fiction work, The Twelfth Iman, about a nuclear deal between the USA, its allies, and Iran. Sound familiar? And, for my “less conservative” Canadian friends, you will like it. Don’t assume because Rosenberg is an American believer in the Bible, that he follows the typical conservative views or storyline. He probably doesn’t even own a Glock, which makes me wonder about his salvation. The Good: Rosenberg can write. He won the Gold Medallion for Best Novel in 2006. He has made the NY Times Bestseller List. He is a graduate of Syracuse and does impeccable research. As a result, the book is a great read – although it did take me a few chapters to get into it. A bit too much back-story for me. The Bad: There isn’t much not to like here – except that I’m not sure I’d want to live through all that happens in this book. I’m hoping his prophetic luck ended with the deal. The Ugly: It’s a shame it came out ten years ago. It is SO NOW. It’s perfect read for April 2015, but that doesn’t help Joel or Amazon much. I got mine free from the library. I found your blog after reading an article you wrote in leadership journal. I read through a couple of posts and enjoyed your writing style. I was wondering if you have a sermon podcast. God bless you. Hey Todd – thanks for your comments! Is there a way to follow/like your blog? I didn’t see buttons for that. Here, we are just now switching to Vimeo on our cottonwoodchurch.com site. Our current series downloads are a bit more of a challenge to download. Possible, just harder. And you may end up cussing, and that’s bad for a pastor.